While exercise is important, studies show that it accounts for just 25 percent of weight loss. The other 75 percent comes from eating the right things. However, it can be difficult to know what those right things are and in what quantities they should be consumed. These clever nutrition apps take away the guesswork to help you get the health results you’re looking for this year. For many of us, the path to eating better begins at the grocery store. Putting the right things in your cart will set you up for eating well during the rest of the week. You might not know what the right things are, but ShopWell does. 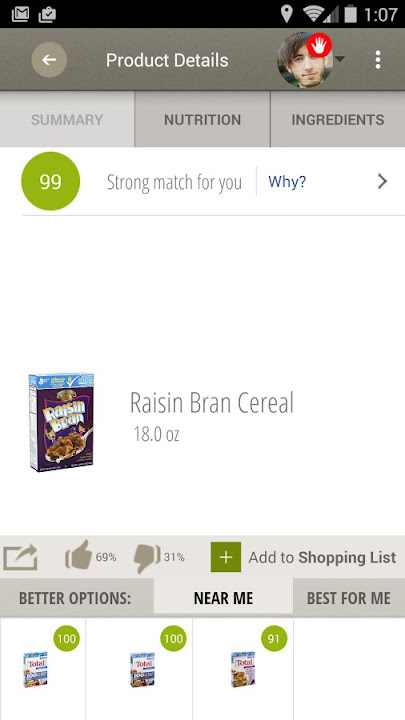 Scan the barcodes of each item you want and the app will tell you whether it’s a good choice. Plug in your allergies or intolerances to help the app make even more informed selections. The points and gift card rewards system turns your weekly shop into a more entertaining experience. ShopWell is free to download for iOS and Android devices. Resolving to eat better doesn’t mean staying home while your friends dine out. 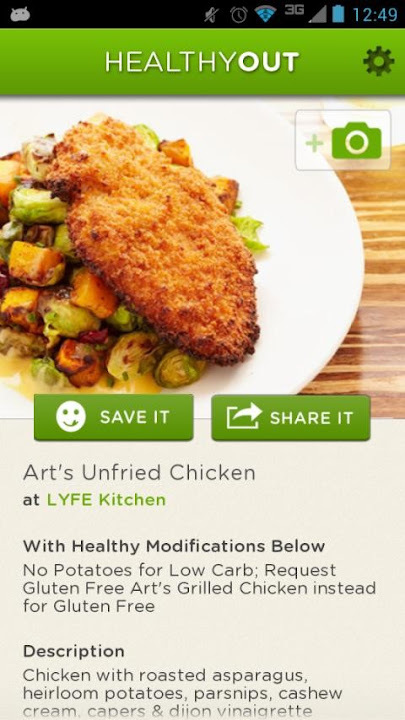 HealthyOut helps you find low-calorie, low-carb dishes at your favorite local restaurants. It will also help you filter for options relevant to your diet choices, like Atkins, gluten-free, or vegetarian. Best of all, the results aren’t just salads! HealthyOut is free to download on iOS and Android devices. We’ve all heard that eating right is as simple as balancing the calories we consume with the calories we burn. However, looking up calorie counts and manually tracking information can be time-consuming and confusing. 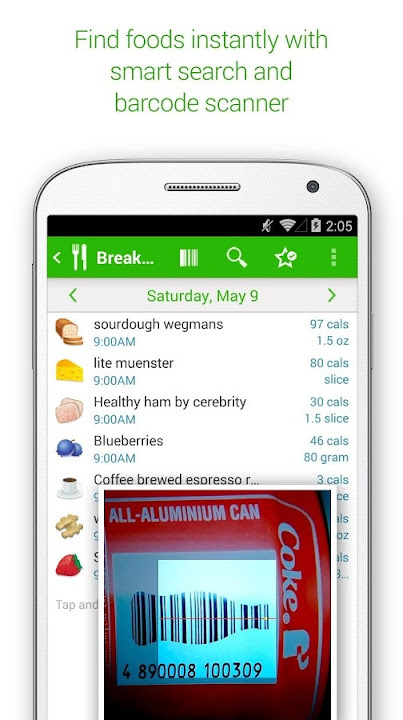 Calorie Counter PRO by MyNetDiary makes the process much simpler. It has a massive food catalog of 677,000 different items. Just tell it what you’re eating, and the app will monitor calories, fats, carbs, and other variables. If you’re consuming something not already in the database, photograph it and the app’s team will create its nutritional profile within 24 hours. Calorie Counter PRO by MyNetDiary is great for maintaining weight and shedding extra pounds. Enter your target weight and the app will suggest a nutrition plan and exercises to help you get there. Calorie Counter PRO by MyNetDiary starts at $3.99 for iPhone users but the basic app is free on Android devices. 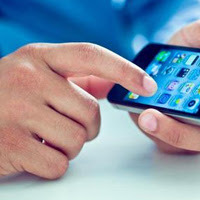 The information it tracks is a bit personal, but it’s fiddly to lock and unlock your phone to keep data safe. Try installing it on a certified pre-owned Google Nexus 6 to minimize the hassle. These devices have on-body detection so they’ll stay unlocked whenever they’re on your person. When you’re focused on eating the right things, it’s easy to forget about what you’re drinking. However, drinking enough water is an essential part of good nutrition because it’s a huge component of our bodies, from blood to tissues. It also helps the nutrients we consume travel around our bodies, removes waste products, and protects our joints and organs. Water is free of calories, so it’s a guilt-free way to hydrate. When you drink enough water you’ll probably also find you’re drinking less sugary sodas and fattening alcoholic beverages. 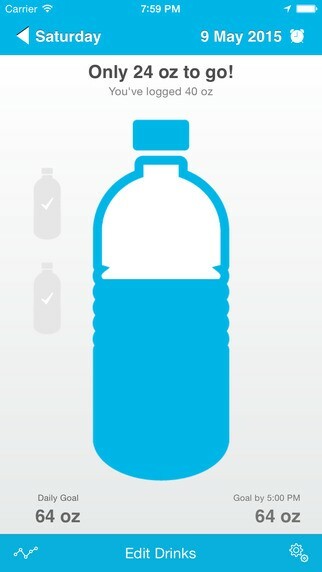 Waterlogged can help you stay on track by charting your daily water intake. You can also add images and measurements of the glasses and cups you regularly use to more accurately measure how much you drink. The app’s alerts will remind you when it’s time to drink more. Waterlogged is free to download for iOS devices. If you’ve got a little more money to spend, Rise — Nutrition and Weight Loss Coach is a great choice. 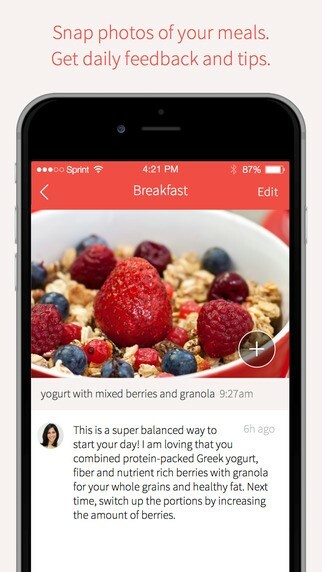 This innovative app pairs you with a registered dietician, who will discuss your nutrition goals with you. Then you use your phone’s camera to snap images of the meals and snacks you consume to create a visual food diary. Your dietician will assess this and suggest heathy changes for your diet. A subscription to Rise — Nutrition and Weight Loss Coach costs $48 per month (cheaper quarterly) and is available for iOS devices. With these smart nutrition apps on your favorite mobile device, eating right can be as simple as logging in.